You may need a comprehensive health plan because you are moving to a new country where you do not have access to public health coverage, or you may being on an extended trip (perhaps sailing around the world) and want superior coverage to that offered under traveller's insurance. We provide a range of expat health plans from multiple insurance companies. Please complete our Quotation Request Form for Expatriates, or simply contact us with the details of your ‘insurance scenario’ and we will quote on the plans most relevant to your situation. Working outside your home country? Working in a high risk location, or war-zone? We provide solutions for medical doctors, journalists, students, missionaries, and others on assignment in war zones, and other ‘high risk locations.’ Contact us for more details. The following expat health plans are available to working and non-working expatriates alike. Our insurance agents look to these and other marketplace options to find the ‘best fit’ and best value for each client. Please Note: Your ‘first choice’ of plan may not be available for your country of foreign residence. While most expatriate plans offer options for ‘worldwide coverage’ each underwriter has restrictions regarding certain countries which they either will not or cannot accept as the applicant’s location of primary residence. Once again, we encourage you to connect with our experienced insurance agents for a full consultation regarding your insurance needs and the options in the marketplace. Cigna offers a full spectrum of annually renewable individual health plans ranging from essential core benefits to executive level benefits. Cigna’s “Close Care” plan offers a unique and lower priced set of benefits for those who only need coverage in one country of foreign residence, and in their country of nationality/citizenship. Outside of those two countries medical expenses are excluded, with the exception of a limited provision for emergency medical coverage during short term travel. Contact a DCIS agent for more information and for a free quotation of Cigna plans. GMI offers annually renewable, worldwide coverage for clients residing outside their home country. This is an annual plan and is only available in 12 month terms. For clients considering this plan, we strongly recommend the Gold Plus or Platinum Plan options as the Silver and Gold Plans have reduced benefits by the third year of coverage. This is a competitively priced plan with three coverage levels. It can be purchased for terms of 1 – 12 months at a time. Note: Medical Underwriting is required at time of initial application and for each renewal application. Therefore a sickness or injury suffered in one policy term could be excluded in a subsequent policy term. For this reason this plan is not ideal for clients who require ‘seamless coverage’ over multiple years. 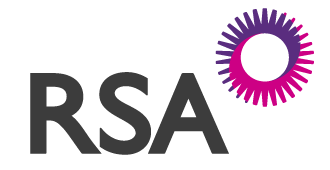 ™ “RSA” and the RSA logo are trademarks owned by RSA Insurance Group plc, licensed for use by Royal & Sun Alliance Insurance Company of Canada. It can be purchased for terms of 6 months, 9 months, or 12 months at a time. (A policy holder who has had continuous coverage for 12 months or longer may extend coverage for up to 90 days upon permanent return to Canada to cover the waiting period for Provincial health insurance). There is no medical history questionnaire for this plan, but there is an exclusion regarding pre-existing medical conditions. Patriot Travel is low-cost ‘stand-alone’ medical insurance ideally suited to people who need temporary coverage outside their home country for periods of one year or less. Patriot Travel is designed to cover expenses arising from unforeseen illness or injury. Under the Patriot Plan from IMG, you have the option of selecting various levels of coverage as well as choosing from different deductibles. The deductible is applied per person per policy. Please refer to the Patriot America rates which are for Non-US Citizens travelling outside their home country; the Patriot International rates are for US citizens travelling outside the USA only.